Valerie Jarrett visited the Gleacher Center in downtown Chicago Monday to discuss Chicago’s Plan for Economic Development and Jobs, which was released by World Business Chicago. Chicago is unique in its ability to actually implement a jobs plan, said Jarrett. According to Jarrett, the Obama administration may not be able to move Congress to act on his jobs plan but says there are plenty that cities can do on their own, and that’s where Chicago’s jobs plan comes in. Jarrett praised Chicago as a place where economic strategies were happening without intervention from Washington. Her statements were consistent with economic developments underway here. 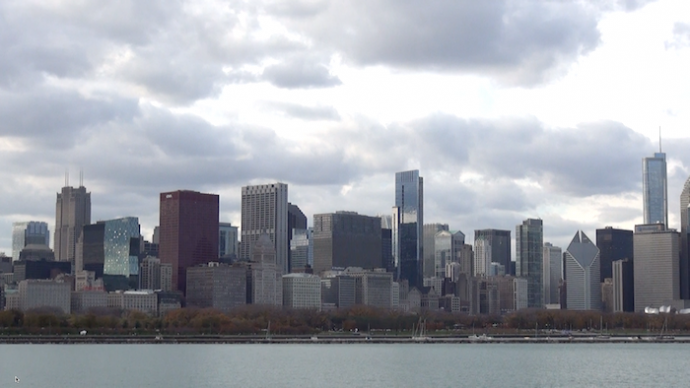 The idea that bringing companies and academic institutions together to produce economic advancement is popular in Chicago. The new biotech hub planned for the Merchandise Mart may be the type of environment that the Obama administration is looking to for signs of success and that city government is supporting as instances of the city’s economic strategies in action. Prior to Jarrett’s remarks, Michael Sacks, vice chairman of World Business Chicago, and Mayor Emmanuel both spoke. The plan means a clear, collaborative, and transparent economic agenda in Chicago. World Business Chicago is committed to opportunity and jobs across a broad spectrum of Chicago, including Chicago’s neighborhoods, said Sacks.